Game of Thrones fans are used to digging around through complex source material to find clues. But ever since the HBO series started to veer away from the canonical history of George R. R. Martin’s books, fans have been looking to more unorthodox sources. Medium enlisted a classics professor from University of Texas at Austin (who also happens to have books published on the lore and mythology of GoT) to investigate. And according to Ayelet Haimson Lushkov, there’s plenty of real-life history that parallels the intrigue of Westeros. Lushkov points to the Year of the Four Emperors as a key turning point in history, both in western civilization and in Westeros’ current situation. After Nero’s suicide in 68 CE, Galba, Otho, Vitellius, and Vespasian all duked it out for the top spot. 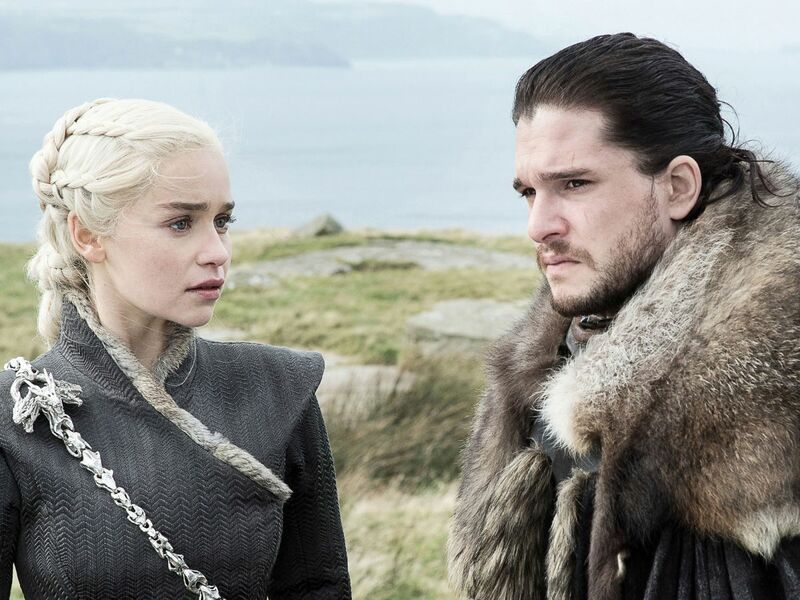 Using historical events, Lushkov crafted a few theories that could shed some light on what could happen as Dany fights her way towards the Iron Throne. In a turn of events that sort-of recall last week’s episode, Vespasian turned to Egypt instead of heading straight to Rome. The detour allowed him to take hold of the empires grain, which was the idea behind Jaime Lannister’s trip to Highgarden. With winter on its way, stocking the pantry seems like a good idea. Lushkov isn’t just looking at actual history, though. If GoT ‘s writers’ room is more apt to draw from fiction, Dany’s journey (and her new motley crew) puts her alongside ancient mythological heroes like Odysseus and Aeneas. Tyrion, like Odysseus, is fighting to get back to his homeland and Dany’s more of an Aeneas, fighting to get somewhere she’s never even been before. Aside from the quest for power, Lushkov notes that after the dust settles, the Wall will probably outlast whoever gets to sit on the throne. If history repeats itself in high fiction, Lushkov says that the Wall will stand for eons, like Hadrian’s Wall today. It isn’t just a physical barrier for the Wildlings and White Walkers, it’s a symbol the separation of old and new. With just two episodes left this season, there’s plenty of time to see if Lushkov’s other theories come true. If not, he can chalk it up to the writers veering away from tradition, just like they turned from the source material.